For six weeks, Albion Online has done everything to improve and offer players a quality experience. Nevertheless, the title of Sandbox Interactive has suffered many disappointments handicaping the players and causing the frustration. The main problems: the DDOS, which seem to be gone, and the instability of the servers, still topical. It would seem, however, that these troubles are soon behind us. Indeed, the developers have put in place a device to test solutions on their servers. These are currently deployed on the test server of Albion Online and it is therefore possible to try out a version of the game without problems of servers. Imagine, fights to several hundred players who would not become simple PowerPoints. Exit the slides and the meta lag, welcome to the 60 seconds and the beautiful game. Sandbox invites the players to go on the test server in order to obtain a maximum of returns of users who will be able to verify the contribution of the additions made . If these solutions do not yet affect the normal server of the game, it seems that things have improved greatly on this side as well. The lags are not only scarcer but also less painful. Yesterday was a battle featuring more than a hundred players without the state being catastrophic. If the arrival on the map was painfully made with massive rollbacks, the rest of the fight went on, strangely, without hiccups. Let's hope that the tests performed on the secondary server will make it possible to perpetuate a stable state and that the players will be able to put themselves joyfully on the head in massive fights in alliance against alliance. 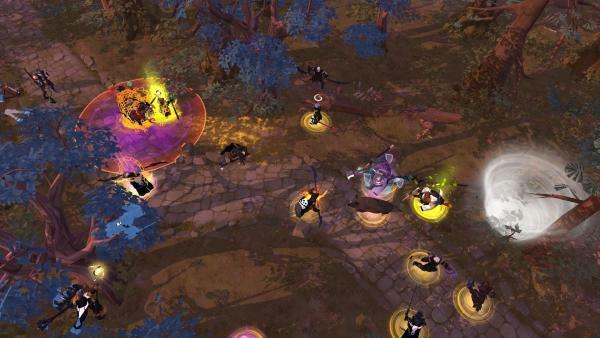 Albion Online is released on Android, PC, Mac and Linux. You can find all our Albion Online guides on UpAlbion. To join the adventure of Albion, go to the official site of the game.